The World Land Trust (WLT) team raise much needed funds for reserve rangers thanks to your support. 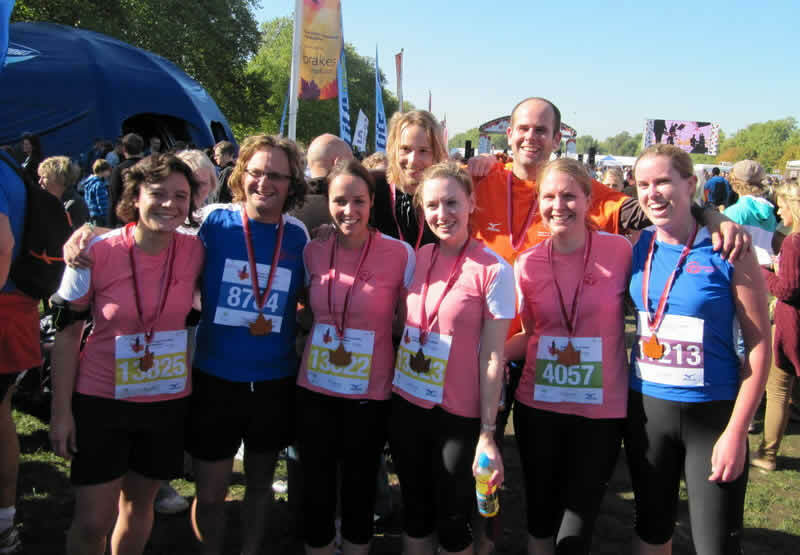 The gruelling four months of training paid off last Sunday (10 October) as the 17-strong WLT Team crossed the finish line of the Royal Parks Foundation Half Marathon. 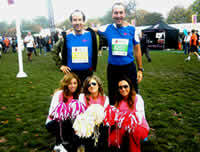 WLT’s ‘Run for a Ranger’ Team proudly displaying their medals after finishing the Half Marathon. Thanks to your support the funds raised will assist our Brazilian project partner, Reserva Ecológica de Guapi Assu (REGUA), to support the salary of a wildlife ranger for one year. Over the past 21 years WLT has helped save more than 400,000 acres of land around the world yet it is vital that this land is protected; that’s why funding reserve rangers is a priority. More than 12,500 people crossed the finish line in the largest Royal Parks Foundation Half Marathon yet. 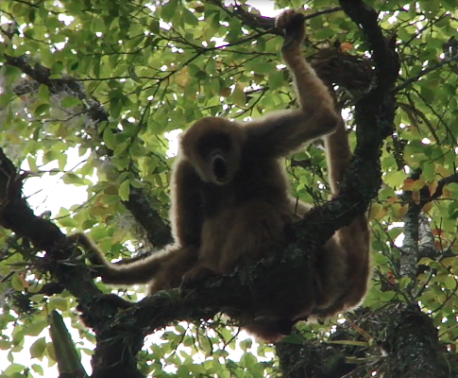 Joining the WLT running team were representatives from WLT’s corporate supporter, Eurojersey, which has signed a five-year agreement to help fund the purchase of endangered Atlantic rainforests of Misiones, Argentina. Eurojersey CEO Andrea Crespi (left) and Guiseppe Crivelli (right) with their supporters Michela Delle Donne, Nadia Bosco and Martina Crespi. © Eurojersey. Eurojersey, which supplies major brands such as Victoria’s Secret, La Perla and Dolce and Gabbana, has pledged to save at least one metre of critically endangered Atlantic Rainforest in Argentina for every metre of Sensitive® fabric sold with the claim, “One Metre of Fabric for One Metre of Forest”. Far from a walk in the park, the half marathon took the runners through St James’s Park, Green Park and Kensington Gardens, before heading back to Hyde Park on a picturesque tour of some of London’s greatest landmarks. The Royal Parks Foundation, the organisers behind the marathon, aim to protect, conserve and enhance green spaces in London, as well as to protect wildlife and develop strong community partnerships. The WLT team would like to thank you for your generous support. If you would still like to sponsor the team we would be very grateful, please simply visit the WLT Team’s Virgin Money giving page.